Love cereal? You’re not alone. 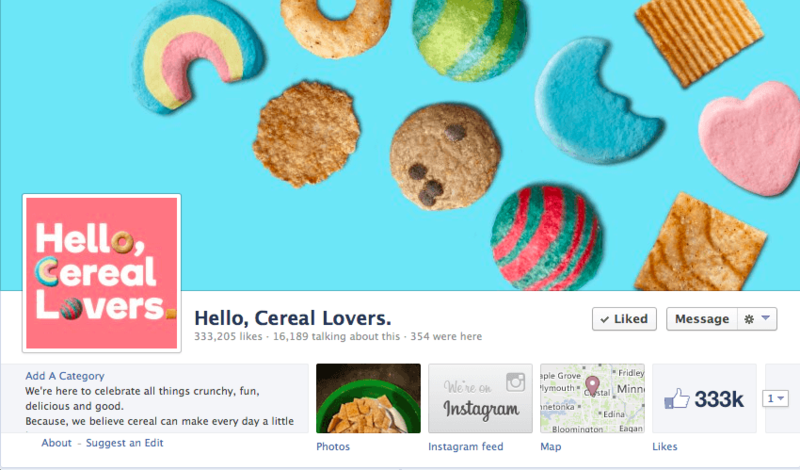 Inspired by the passion and enthusiasm people have for cereal, there’s a new, “Hello Cereal Lovers” co-branded social media community from General Mills that is generating buzz for its creative and collaborative visual storytelling approach. Spanning Facebook, Twitter, Instagram and Tumblr, the “Hello, Cereal Lovers” communities focus on General Mills’ cereal varieties, but aren’t opposed to (gasp) occasionally mix in a competitor for the sake of a sweet recipe. With more than 40 varieties alone from General Mills to share content from, frequently featured cereals include Cheerios, Cinnamon Toast Crunch, Cocoa Puffs, Cookie Crisp, Life, Lucky Charms, Trix, and more. The cereals are celebrated through a delicious array of mashups, recipes and bowl selfies. There are even posts dedicated to wacky mascot images and DIY projects to make with a cereal box. The experience is fun, colorful, and plays to the many crave-worthy moments where people can enjoy cereal. What’s unique about this community is that it’s inspirational, versus highly branded. Instead of overtly marketing over 40 brands, “Hello, Cereal Lovers” is more focused on crafting a visual story on people’s love and passion for cereal. From the user-generated imagery, to casual tone and creative recipes, it’s not immediately obvious that the community was developed by General Mills. Taking this approach allows the cereal varieties, flavors and lifestyle attributes to shine. Though focused predominately on General Mills brand cereals, the pages do occasionally feature recipes or cereal mixes including brands like Kellogg’s, Special K. However, it’s worth emphasizing that these are not stand alone posts and the volume is small. But still, how many competitors would even consider it in the name of interesting content? Another great takeaway from the “Hello, Cereal Lovers” community is how to engage in collaborative visual storytelling with the help of content aggregation. 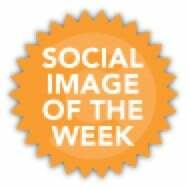 Look closer at the content and you’ll see a DIY cereal box Facebook post that links back to a BuzzFeed article, posts shared from sites like GrubHub and posts shared from the cereal brand’s individual Facebook communities. In addition to unique content on the page, it’s strategic to mix in third party content sources, plus the most relevant images from individual brand pages in order to keep the community from feeling too branded. The sharing of social media posts from bloggers, food and community enthusiasts could also serve as a relationship building opportunity – just make sure to secure permission first. With over 333,000+ followers on Facebook, plus growing communities across Twitter, Instagram and Tumblr, the final takeaway here is that promoting a product or service does not always have to take a traditional approach. By catering to how cereal fans experience its products, General Mills is crafting a powerful visual story about the passion and love people have for cereal. The collaborative approach offers many creative content themes to support the visual story in a way that feels more like content you would see from your group of friends, amplifying the potential for word-of-mouth sharing on social media sites.